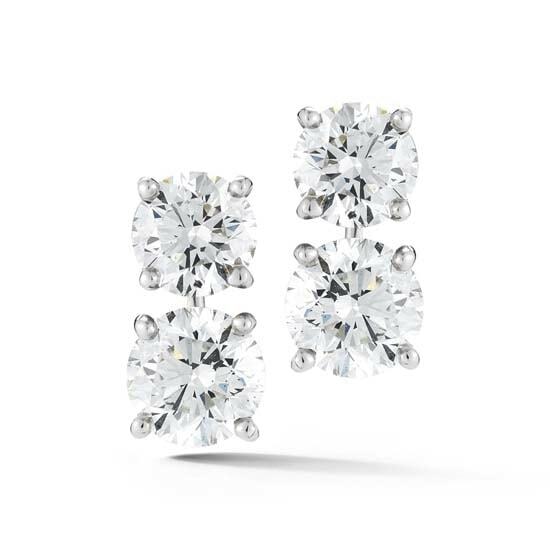 These drop earrings feature two round brilliant cut diamonds in each earring. Set in platinum, these G color SI1 clarity stones are 0.48 and 0.73 carats respectively for a total carat weight of 2.42. Please call for pricing and inquiries on special orders.